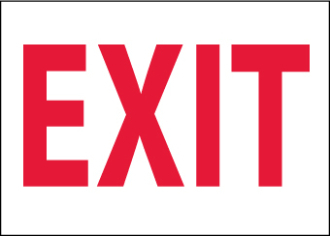 Red and white “Exit” sign. Made from PS Vinyl. Size: 10.00x14.00. Copyright © 2011-2019 Hard Hat Safety and Glove. All rights reserved.